Lebanon, Indiana … The school year was barely underway when Jim Messenger, a board member for the Malawi Project, discussed the need in Malawi for textbooks and school supplies with his son-in-law, Lowell Miller, a teacher in the Lebanon, Indiana School System. Jim highlighted how schools in Malawi had few books, and often an entire class would try to study with the use of only one or two textbooks. Lowell recognized the need and presented the opportunity for his school, Central Elementary, to donate unneeded textbooks to Malawi schools. His request was met with immediate approval from a dozen teachers and the program started moving forward. Teachers started gathering up textbooks and other reading materials no longer needed in their classrooms. With such a positive response to the project, contact was then made with Lebanon Community Schools Superintendent Dr. Robert Taylor to consider the possibility of involvement from other schools. Dr. Taylor, with his wife Jackie, a counselor at Lebanon Middle School, gave the project wings by involving the other Lebanon Community Schools in the project. 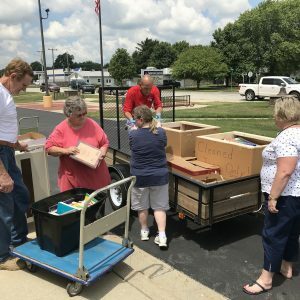 Contributions of supplies and textbooks were given from Perry-Worth Elementary, Lebanon Middle School, and a sizeable number of science textbooks and supplies came from the efforts of Assistant Principal Bob DelaRosa at Stokes Elementary School. 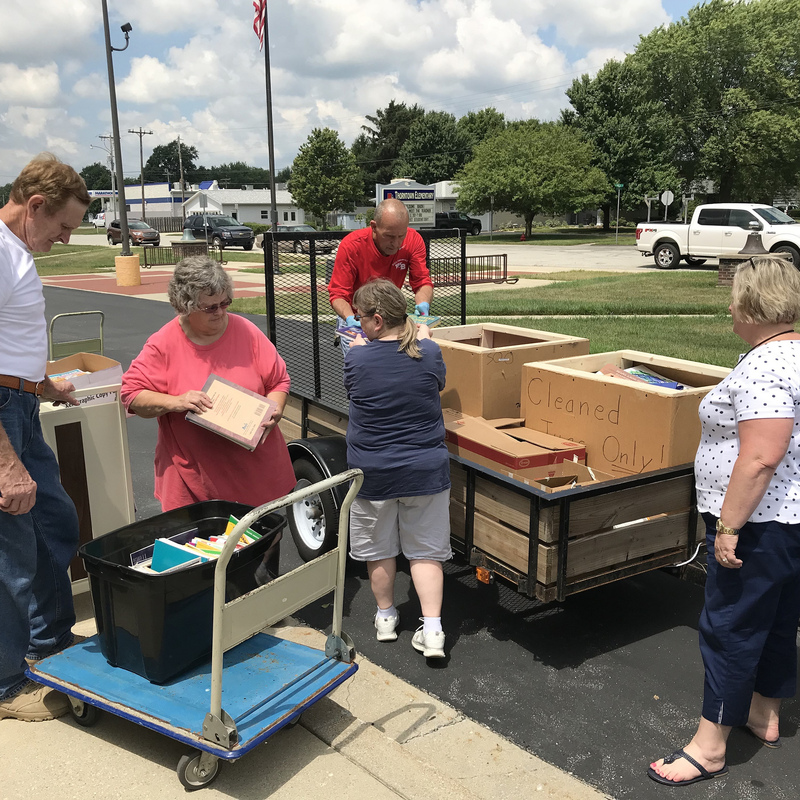 Support for the textbook program continued as Theresa Hayden, a retired school teacher and church member in Lebanon, Indiana contacted teachers, and administration at the Thorntown Elementary School, a small community in Western Boone County Indiana. Within days obsolete text books from the school were gathered, boxed, and made available to the Malawi Project. Like the books coming from the Lebanon School District, the books from Thorntown were rescued from recycling and an early death. Instead they will enjoy a new life and valuable contribution to schoolchildren in the nation of Malawi. If you want to learn more about how your school can participate in the textbook program for Malawi schools, write: info@malawiproject.org.